We would like to welcome the fourth grade students to Indian Hill School and also welcome back our 5th and 6th graders. This year will be an exciting and fun-filled year for our children. 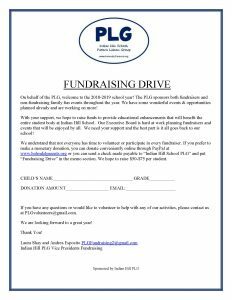 With your support, we hope to raise a substantial amount of money to benefit and enhance Indian Hill School through many fundraisers. If you prefer to make a monetary donation, we anticipate raising between $50-$75 per student. 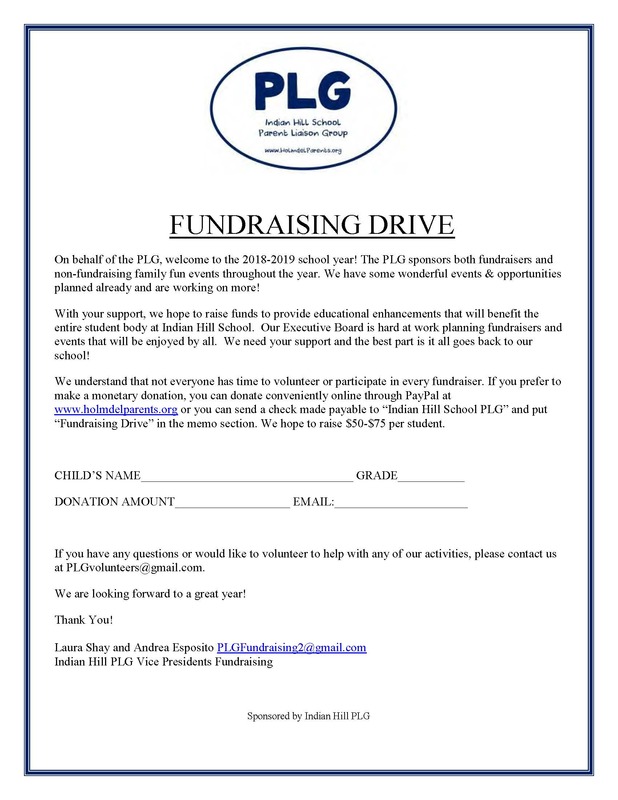 Please fill out the form below and return to school in an envelope marked PLG Fundraising with your donation in cash or check (payable to Indian Hill PLG). Now you can pay quickly and safely on-line using PayPal with your PayPal Account or a major credit card. Click “DONATE” and support Indian Hill School today!